is a generator of life energy that you can plug into the sound output of your PC or into the output of any CD Player. Then connect it with an LPOG 2400 HD to get three to four times the power output! It is a top of the Line Chi Generator®, with silver tubing output, free transfer couple TC 99, built-in voltage regulator, ready to use. The PCHD 2400 had more than three times the power of the LPOG 2400 DL. Add to its power with the PBT 2400 Power Booster with Transfer Disk. 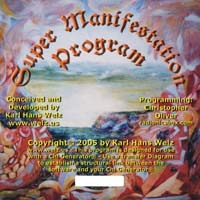 This Heavy Duty Chi Generator® works exceedingly well in combination with the manifestation programs. For you to appreciate the special characteristics of the Chi Generators® with precise low frequency options (the JU 99 CE series, the LPOG 2400 DL, the LPOG 2400 HD and the Performer 2400 and, of course, the PCHD 2400 which is driven by the frequency output of your PC or of a CD player), it certainly is good to know about low frequency technology. That’s exactly where your Chi generator® can make a difference – and a very big difference at that !!! By now it is well-established that the technology of the life energy generator is far superior over all conventional type light-sound mind machines. The reasons are obvious: you can set up your Chi Generator® to emit low pulse life energy in the exact frequency of brain waves of your choice: Alpha, Beta, Theta, or Delta. When you are surrounded by a field of LPO (Low Pulse life energy, or Orgone), then your brain can adjust to its frequency almost instantly. This is so, because the detour over sensory perceptions or questionable electric mini-shocks (as in a couple of more recent devices) is no longer necessary. Life energy in brain wave frequencies means a more effective impact and therefore faster results. This means that you can achieve the corresponding states of mind very fast !!! The most striking advantage of our LPO technology over conventional type mind machines is the fact that you can project LPO (life energy of low frequency) at any distance! This has been proven with the help of EEG devices over and over again. Simply use a structural link such as the transfer disk of the life energy generator or any one of the specialty power boosters, put it into your pocket, set your generator of life energy at the desired pulse speed, and go then to a business meeting, on a date, to the gym, to a sports competition, or anywhere else. Nobody will notice your invisible helper! That’s all! You certainly can relax or go about your usual business at any place. Like all of our Chi Generators®, the PCHD too has silver tubing as output: Silver is a favorite of all professionals when it comes to energizing the body. The PCHD 2400 has the capability to produce living water the same way as the CE 69, AO 1100, the AO 2000, the LPOG 2400 HD, the Performer 2400, the ATG 5 and the ATG 12. (2) The RAOPTC power transfer couple. With this accessory, you can boost the power of the PCHD 2400. Keep the small disk on the device and use the larger disk to charge water, food, drinks and supplements anywhere or simply carry it on yourself to give a continuous boost to your energy levels. Both parts are made of super orgonite®. See picture to the left. 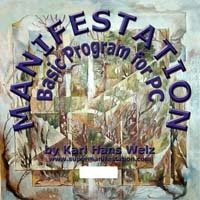 (7) Special Frequency CD's for the PCHD, for specific function frequencies, which you can play on a CD player, and which makes the PCHD independent of a PC. The PCHD comes with a transfer couple. 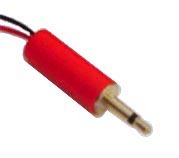 You can use these transfer couple to stay connected with your device and draw its energy when you are not close to it, and this transfer works full power even when you are thousands of miles away. Put one unit of the transfer couple next to your device while you carry the other one on you. You can attach it to your key chain. The Power Booster with transfer disk PBT 2400 operates in the same manner, and itincreases the output of the device significantly more than the standard transfer couple of the TC series. Plug in the PCHD. to the left is a switch that turns on the two generators that are connected with the stereo output of your PC or CD player. Turn the switch on only when connected. The switch on the right goes to a third generator, which is built into the device. 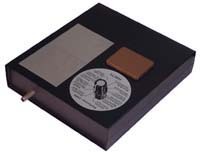 This way, the PCHD generates life energy even when it is not connected with a PC sound card or with a CD player, which allows you to operate it independently like any other Chi generator®. Naturally, the LED's below the switches indicate when it is on or off. 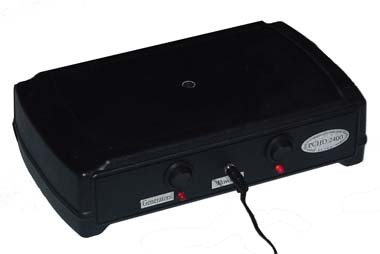 On the back, you have a wire with a stereo plug that you use to connect your PCHD with your PC or CD player. you can use the PCHD even when it is not connected with Unless you connect to your PC or CD player. The two jacks are outputs (mono-plugs), one for each channel, which you can connect with the "input EPU" jack with a mono-patch cable. This allows you to gain 4 - 5 times the power of a standard HD device such as the LPOG 2400 or Performer 2400. First Steps and Basic Examples for Self-Help and Trend Management. Turn the generator on , then hold the center of your palm (either hand) approximately 2 inches (5 cm) above the silver tubing of the Chi Generator®. Most likely, you will feel a gentle warmth, a tingling, or a cool breeze. What you are feeling at first depends very much on the system of nerve endings that react first. Persons who are skilled with their hands usually feel the cool breeze rather than warmth. Running the PCHD on the right switch only, not connected to your PC, is sufficient for this and the following operations. 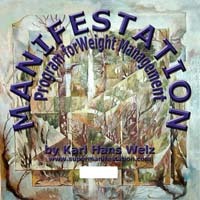 Now you can begin to direct the energy towards yourself. 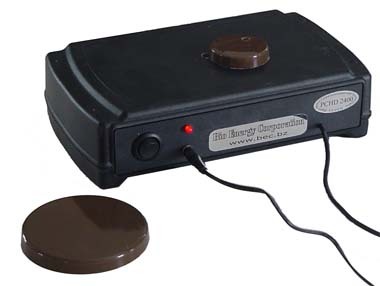 Turn on the Chi Generator® with one of the transfer disks, transfer cards or power booster next to it or on top of it. Since life energy transfers at any distance (with the right structural link! ), all you need to do is carry the second transfer unit, the second transfer card or the transfer disk of the PBT 2400 with you. You can also design a transfer diagram on a piece of paper: For smooth transfer of energies, uniqueness of the transfer diagram is important. With unique transfer diagrams, leakage of energy is less likely. Use a copying machine for exactness! Design anything, even a scribble, and then make photocopies of the individual designs or scan them: make two printouts, or, in some instances, three. Discard the original diagram after you finished copying. You end up with two designs that will have nothing like it anywhere. Put one diagram in front of your Chi Generator® or anywhere close to it. Take the other one somewhere else, put it on a surface, and check for transfer! Do not put it on your knee, because your body will draw the energy and the palm of your hand may then not be capable of feeling it. The same is the case with transfer cards or transfer disks. Transfer cards, especially when laminated, can be very helpful when you are using the PCHD to boost sports performance, where the typical transfer disk may be an obstacle. Here it is irrelevant whether you make your own transfer card or purchase a couple of transfer cards from us. As shown in the rollover images above, you can put supplements that are very helpful for sports performance into a vial or any other small container that you put onto the top of the generator. When you are carrying a transfer disk or transfer card with you, the energetic characteristics of the supplement will transfer to you in addition to the raw lfe energy, which boosts your performance. In addition to these two factors, you can set the frequency or frequencies, which are most useful for the type of sport that you are boosting. The nice thing about such an arrangement is that you get the energy of a supplement without needing to ingest such a supplement, which can leads to performance enhancement that defies any method of detection. The Performer 2400 has a rotary switch that sets up precise frequencies of life energy for specific functions. When practicing for the first time, carry the transfer disk or transfer diagram on yourself for about half an hour. Note the feeling of being energized. Distilled water is “dead” as far as life energy is concerned. That’s the reason for its bland taste. For the following experiment you need two bottles of distilled water. One bottle you put somewhere, at least 10 ft away from the Chi Generator®. Next to the other bottle, also distant from the Chi generator®, you put the transfer disk for about half a minute to two minutes, depending on size. Then compare the taste of the water in the two bottles. You’ll be amazed! The same way you can energize food, herbs, supplements and drinks. Naturally you can use the transfer cards to charge any water fountain by putting the card next to the supply bottle. It takes about half an hour or less to fully charge a 5 gallon bottle with the PCHD. Turn on the right switch only of your Chi Generator®. Lie down and put the transfer disk (or diagram) onto your chest or simply put it anywhere on your body or next to yourself. Stay in this relaxed state for about half an hour. If you have mastered Autogenic Training (free course available from BEC), you will notice a significant deepening of the state of relaxation when you practice in conjunction with your Chi Generator®.